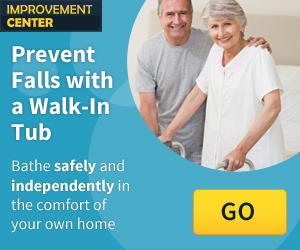 What do Nursing Homes offer in Fort Lauderdale, FL? When your loved one receives care services in a Nursing Home in Fort Lauderdale, FL, they will live in a medical based environment that is licensed by the Florida Department of Health. Nursing homes assist with activities of daily living, recreation, and general nursing care to people who are chronically ill or unable to take care of their daily living needs. Nursing homes in the state of Florida provide nursing care, personal care, and custodial care to people who are ill or physically infirm. There are two main types of nursing homes in Florida – Skilled Nursing Facilities and Skilled Nursing Units. Skilled Nursing Facilities: The Skilled Nursing Facility (SNF) is the most common type of nursing home in Florida. SNFs are freestanding, which means that they are not part of a hospital. Some SNFs are part of a continuing care retirement community (CCRC) and are governed through special contracts. Skilled Nursing Units: Skilled Nursing Units (SNUs) are hospital-based nursing homes. Some SNUs are located inside the hospital, and some are located in a separate building. The skilled nursing unit is licensed as part of the hospital. Long Term Care Communities hire licensed medical professionals such as doctors and nurses to care for all residents. These secured communities provide 24-hour skilled nursing care and rehabilitative services. On-call physician services, special therapies, medications, personal care items, or laundry service may also be provided by communities. Nursing communities sole purpose is to contribute to the overall health and wellness of residents. Other states may use similar terms to describe nursing homes which include rest homes, sub-acute communities and convalescent homes. See below or click to view a list of the Nursing Homes in Fort Lauderdale, FL that might fit your needs. Some of the services these communities provide include daily meals to residents along with medication dispensing, private or shared bathrooms and bedrooms, personal care assistance with grooming and bathing as well as transportation services. Some communities also host daily social activities for residents restaurant style dinning, exercise classes and libraries. Fort Lauderdale is a city off the Atlantic coastline of Florida. Fort Lauderdale is located about 20 miles north of Miami and is near many cities such as Dania Beach, Pompano Beach and Lauderdale Lakes. Fort Lauderdale sits on the prime location of many beach sites as well as Museums, Gardens and Shopping Centers. Fort Lauderdale, FL and it’s surrounding cities will surely provide for you and your loved one.